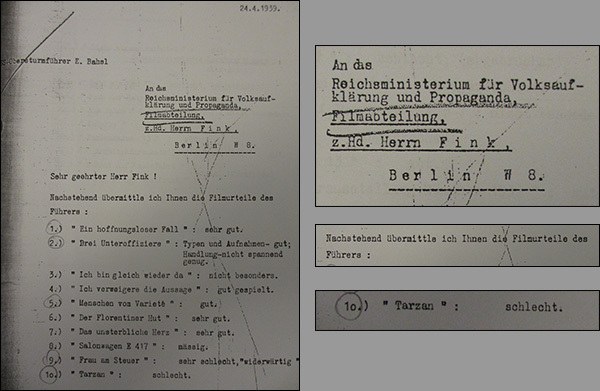 I began by going through the files of Hitler's adjutants at the Bundesarchiv in Berlin. I found that every night before going to bed, Hitler watched a movie, and his opinions were always noted down. See the bottom entry: "Tarzan: bad." 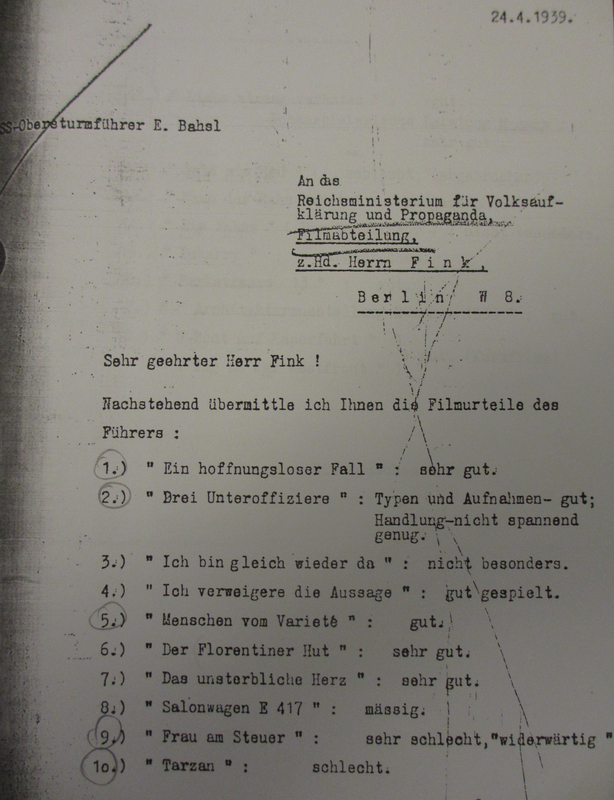 Then, to my surprise, I found a letter from a major American film studio to Hitler's adjutants. The studio's German manager asked whether Hitler would give his opinion of the value and function of American movies in Germany. The letter was signed "Heil Hitler!" This discovery led me to conduct research at dozens of archives in the United States and Germany, and to watch over 500 feature films. The Collaboration is the product of nearly a decade of research.